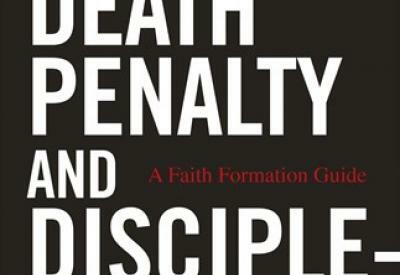 Death Penalty and Discipleship is a faith formation resource to help communities and individuals reflect more deeply on capital punishment. It incorporates Scripture, Catholic social teaching, and contemporary issues that focus on the meaning of God's self-giving in Jesus Christ and the implications of God's redemptive work in our lives. McCarthy shows how the church's stance against the death penalty fits with Scripture, even passages such as "an eye for an eye..." (Lev 24:19-20); he attends to the teachings of Jesus and draws out themes of restorative justice; and he concludes by locating work to end the death penalty within St. John Paul II's call for a new evangelization. God loves the world and gives himself to the world, and we are called to share God's justice and mercy with others. In this insightful and challenging resource, McCarthy encourages us to follow the call of Pope Francis to live out the love and mercy of God for all the world. David Matzko McCarthy, PhD, is the Father Forker Professor of Catholic Social Teaching in the theology department at Mount St. Mary's University. He is the coeditor of Where Justice and Mercy Meet: Catholic Opposition to the Death Penalty (Liturgical Press, 2013), and the founding editor of the Journal of Moral Theology.